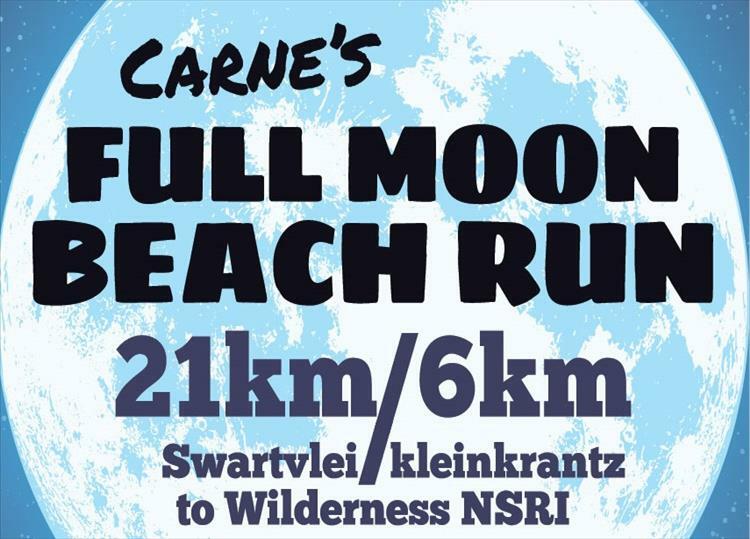 The 6th edition of Carné’s Full Moon Beach Run will take place on 22 December 2018 when the stars, full moon and low tide combine perfectly once again. The shorter route of 6km will also be available again as requested. Chain Gang Events in partnership with Wilderness NSRI, the event’s official charity, want to help you tick this one off your bucket list, and run on what’s been described as the best stretch of beach in the country! Join us on the evening of Saturday, 22 December 2018. The Wilderness NSRI base will host the finish where runners will be greeted with medals, boerewors roll and a drink (included in your entry), and an opportunity to share this amazing experience with fellow runners and family.